Perpetually touring bassist/synthesist C.J. 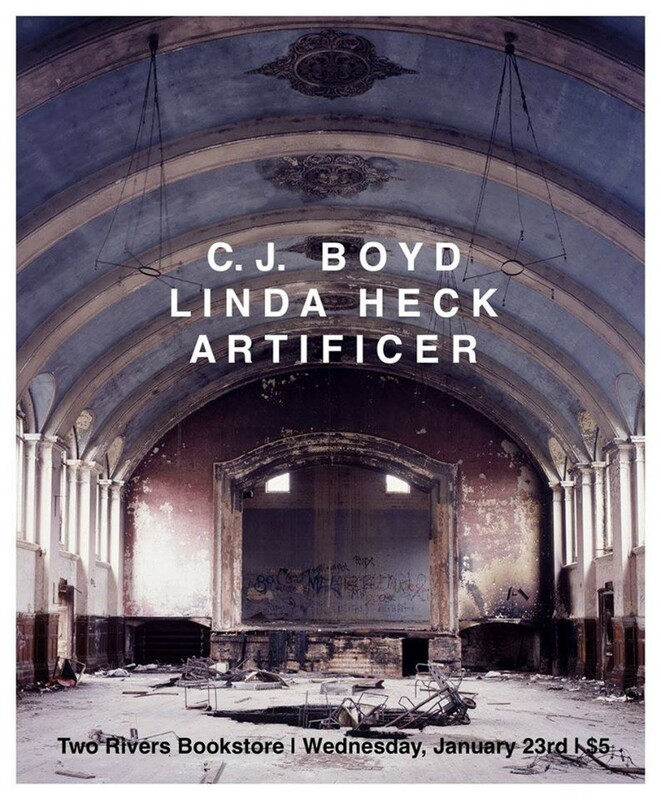 Boyd joins local songwriter/experimental-music hero Linda Heck and upcoming Memphis ambient/drone artist Artificer for an evening of incredible experimental music. The show starts at 8:00 and admission is $5.00.